No! I am not among those who relegate contemporary music as harsh noise and celebrate the bygone era of Eric Clapton, Runa Laila or J.S. Bach. I love heavy metal music while I enjoy the occasional subtleties of blues, jazz and the flamboyance of pop. Taking that into account, there are indeed genres of music (both home and abroad) whose unorthodox and gory delivery can only be understood if you have the lyrics in front of you. I, personally see no point in such music as it may sound like gibberish mechanical noise. But should any form of music that many of us who consider ourselves as ‘musically literate’ do not approve of, be condemned as ‘non-music’? Certainly not. Says who? Said Guru! Music has been called the universal language, the language of the heart and so on. One very important aspect of contemporary music is the music ‘industry’. Making music needs money. However hard it may be to indulge, it is fact and has been proven time and time again. 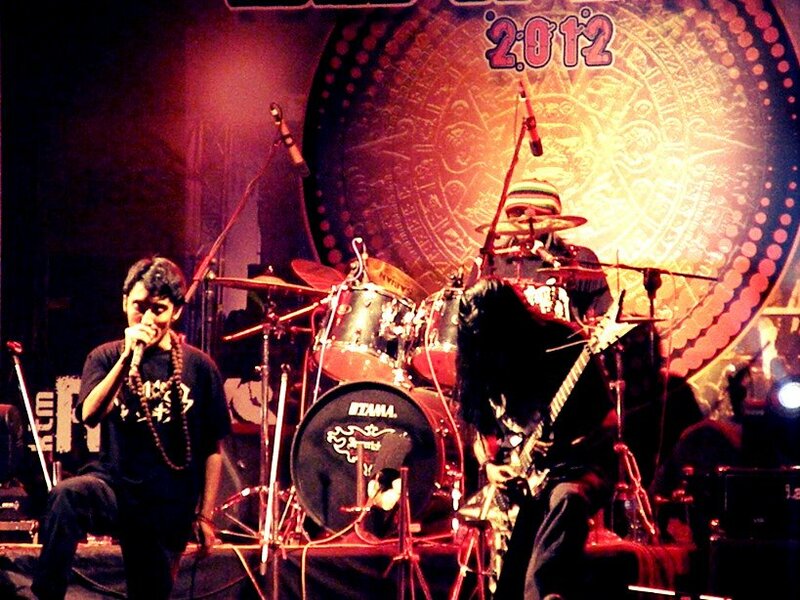 Cryptic Fate – one of the pioneering metal bands of Bangladesh had to run errands for half a decade before anyone gave them a break. It took them almost eight years to find someone to ‘produce’ their music. 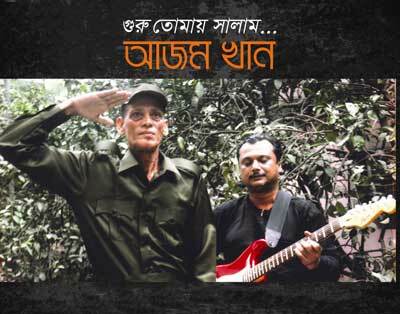 After almost 15 years, today, those songs are written in the inanimate hall of fame of Bangladeshi rock-n-roll. Therefore, the appreciation for music is relative. As long as they like listening to whatever auricular experience you are delivering – it is certainly ‘music’. Who proved this the very first time after the birth of our nation? It was no one else but our pop-guru who admired novelty. Going further extreme down the genre-lanes, let me introduce you to one of the biggest international names in the genre known as ‘death metal’. They are – Cannibal Corpse. In May 1995, US Senator Bob Dole accused Cannibal Corpse of undermining the national character of the United States. A year later, the band came under fire again, this time as part of a campaign by American conservative activist William Bennett, Senator Joe Lieberman and the then-US-Senator Sam Nunn to get major record labels including Time Warner, Sony, Thorn-EMI, PolyGram and Bertelsmann—to “dump 20 recording groups responsible for the most offensive lyrics.” As of October 23, 1996, the sale of any Cannibal Corpse audio recording was banned in Australia and all copies of such had been removed from music shops for sounding macabre. Yet they claimed their own followers and their 1992’s album ‘Tomb of the Mutilated’ reached over one million in worldwide sales by 2003, including over 6,00,000 in the United States, making them the top-selling death metal band of all time in the USA. If you are a Bangladeshi and one of the average folk over 25, you probably would do what the senators did with Cannibal Corpse. However, you cannot gainsay the fans who would cordon their existence with their lives. However bizarre the sound is, however macabre artists look like, not everyone is supposed to (or should) look like Pink Floyd. A homogeneity in the name of music in neither appreciable nor realistic even if the ‘purists’ seek it. Bangladesh was fortunately lucky to find someone in her early hours who would protect her music from stagnancy. Few days ago, our very own Abdul Quddus Boyati – the singer of the famous “Eyi din din noy, aro din ache” came on TV and condemned the usage of western instruments in Bangla music by mockingly stating that Kumar Bishwajit’s “Ektara Bajaiyo Na” is a blasphemous act on the aboriginal music of the land. Ironically it was another ‘Boyati’ – ‘Abdur Rahman Boyati’ who frenzied a crowd consisting people and athletes from over 15 countries at the inauguration ceremony of SAF Games, 2010 in Dhaka with the immortal song “O amar deho ghori, shontaan gori…”. It clearly elucidates the fact that, our music is not under fire; rather it is on the rise. No instrument can harm our own music but only enrich it in the process. Guru Azam Khan was the first to show us that – you have successfully created music, no matter where you come from nor what you play, but when you have successfully captured the auricular attention of a crowd. Besides the Guru, our very own ‘Souls’ and her offspring of the likes of Tapan Chowdhury, Kumar Bishwajit (only to name a few) faced harsh backlashes from the conservative community at the dawn of their careers. Fortunately, it is the rebels of yesterday, who have come of age today. But it is a recurring cycle. The contemporary band ‘Lalon’ has attracted hordes of fans and gained immense popularity by performing renditions of Lalon Geetis using modern day western instruments. 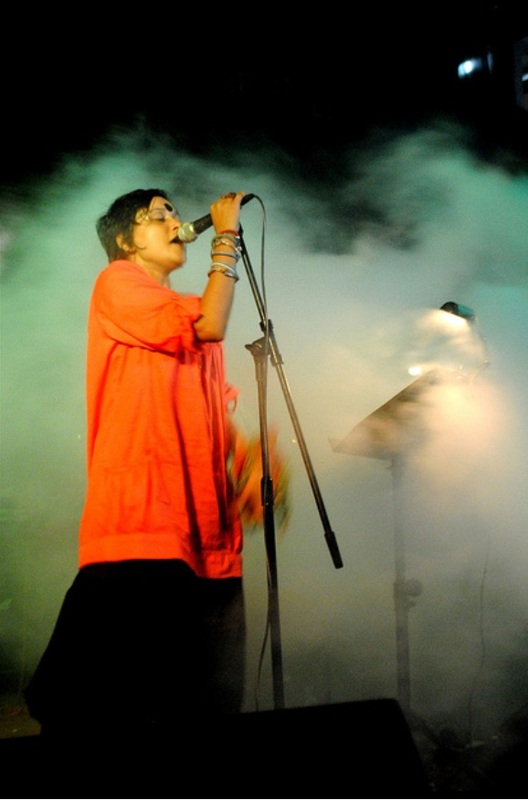 Their popularity was growing so high (by performing at home and abroad) that a popular Bangla daily asked the Queen of Lalon songs – Farida Parveen about her thoughts on the band. Shockingly, she expressed her discontent and regarded the band’s music as a disgraceful act. It was as if, it was a blasphemy in regard to Lalon Shai’s legacy. Even though Lalon Shai never wrote a Bible on how to perform his songs, his followers did not stop (like many religious followers in the past) writing their very own testaments. However, at the end of the day, Lalon attracts thousands of the young crowd, even on overtly ‘Bangla’ occasions such as Pahela Boishakh. It was Guru Azam Khan who inspired lighting the fire on traditions in regards to music. This is possibly why the perpetual flux of Bangla music remains to grow. Going back to music and harsh noise – Bangladesh is also grooming an underground ‘extreme metal’ scene which is not the conventional rock music scene represented by renowned bands like Warfaze, Artcell, Black and Aurthohin among others. Rather, this is a more inconspicuous group who keep their music to themselves but organise weekly concerts in venues such as Russian Cultural Centre (RCC) which is also known as the home-ground of metal in Bangladesh. 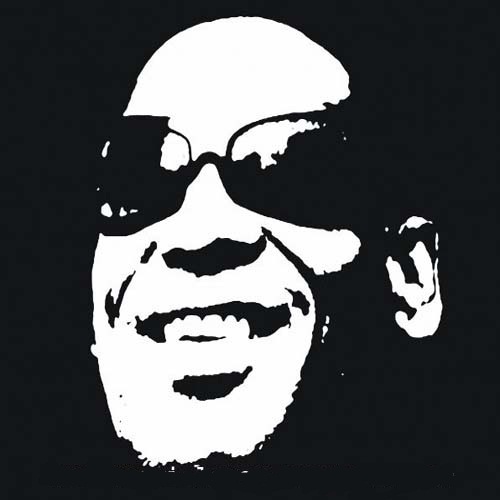 These concerts have their own share of celebrity bands (whom you have not seen on TV nor have you heard them on FM radio) such as Severe Dementia, Orator and Dripping Gore, only to name a few. Bottom line is, music will remain – appreciated and unappreciated. But with time, what is ‘taboo’ today will become the ‘trend’ of tomorrow. This was the crux of the message that the Guru enlightened us with. He was the embodiment of the transformation from taboo to trends. As long as people (which may only be a few) are willing to listen to it, all noise is music – be that of the ‘static transmission’ of the television when the cable goes away. On his first Death Anniversary, we salute the Freedom Fighter, the Footballer and the Pop Guru Azam Khan (28 Feb, 1950 – 5 June, 2011) for his unconditional contributions not only to the freedom of Bangla music but for his contributions to the freedom of the nation. The extreme metal scene in Bangladesh had lots of potential, it died due to proper “nutrition” I would say. Bands like Severe Dementia played in gigs in India, whereas Orator is performing regularly in different gigs all though out the Asia. The taste hasnt yet build up, but it did have potential. Acts like Mirrorblaze, Thrash or Chromatic Masaccre indeed burns the stage down. I hope that the UG Metal scene will emerge from the ashes.